Especially when you need an outdoor blade for yard work or other tasks, make sure to find one suited for work. The Black Jungle Cleaver Machete makes a great tool for clearing woody brush and stalks with its hefty, blunt-tipped blade. Fine teeth provide a subtle sawback to the blade design. 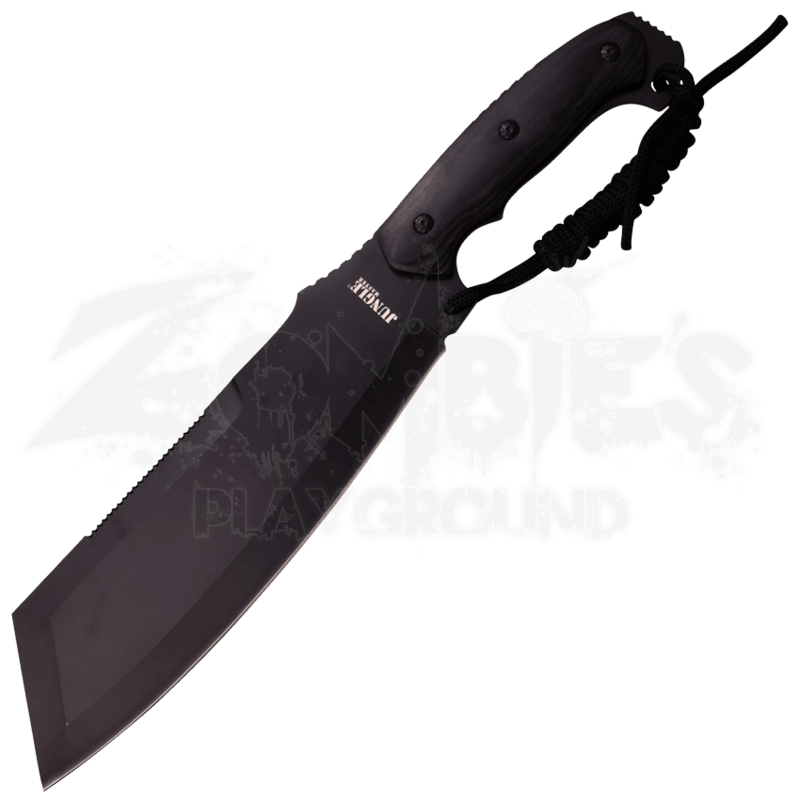 This functional machete is crafted from stainless steel that has been given a black finish. To fit with the aesthetic, the handle is made from black pakkawood that ends in a black lanyard. 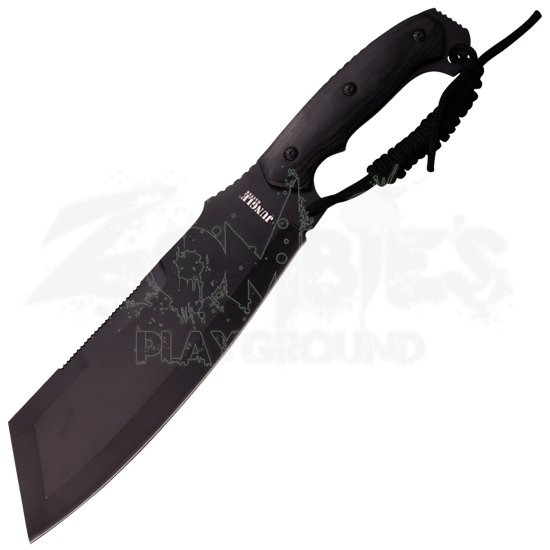 The jungle machete comes with a nylon sheath for carrying and storing.